Indie French developer COWCAT today announced that the old school roguelike-platformer Xenon Valkyrie+ is coming to Nintendo Switch on January 1, 2019 priced at €9.99. Pre-orders and a free demo are available now on the Nintendo eShop. 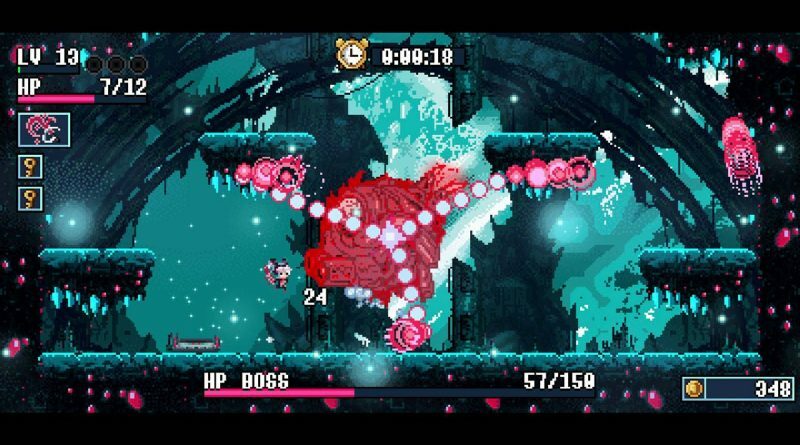 Xenon Valkyrie+ is a rogue-lite platformer game with RPG elements in which you must fight to the deepest part of a moon and halt the plans of a wicked witch. Obtain many weapons as you fight through a unique, randomly-generated world every time you play. Encounter many characters, stores and enemies that tell a legendary story. With traditional graphics and high quality chiptune music, level up and get the amazing power of the Xenon Valkyrie.